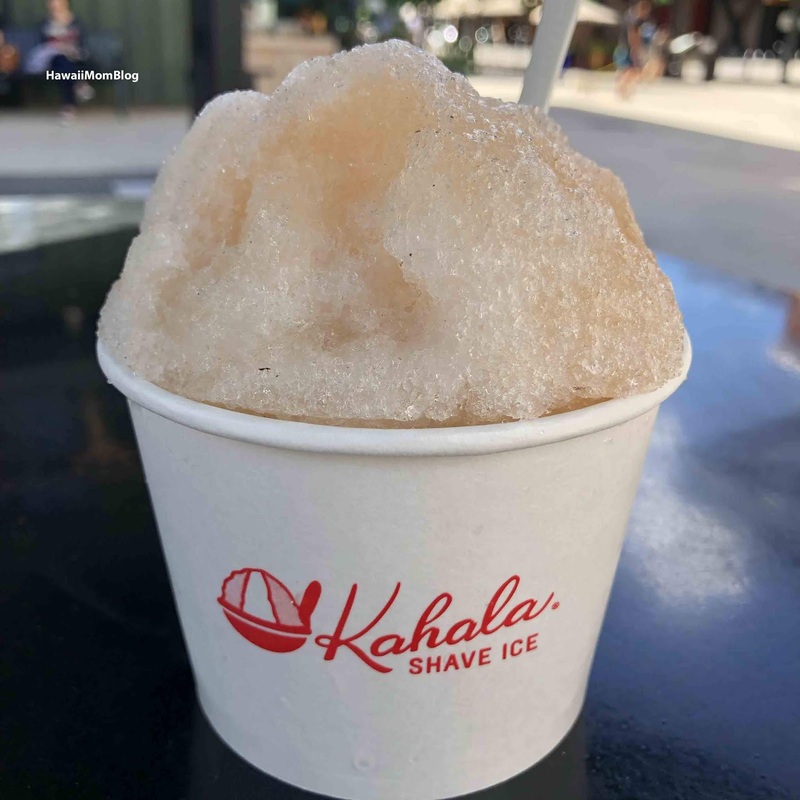 Tucked away in the corner at Kahala at SALT at Our Kaka`ako, the aloha shirt shop, is a counter where you can order shave ice made with 100% organic syrups. It's just $5.50 for 2 flavors, with additional flavors, toppings, and add-ons for extra charge. My friend, Reid, ordered Ginger and Crackseed Lemon Peel. If you love lemon peel, you'll love this flavor. The syrup tasted exactly like lemon peel, just more refreshing since it was drizzled over shave ice. 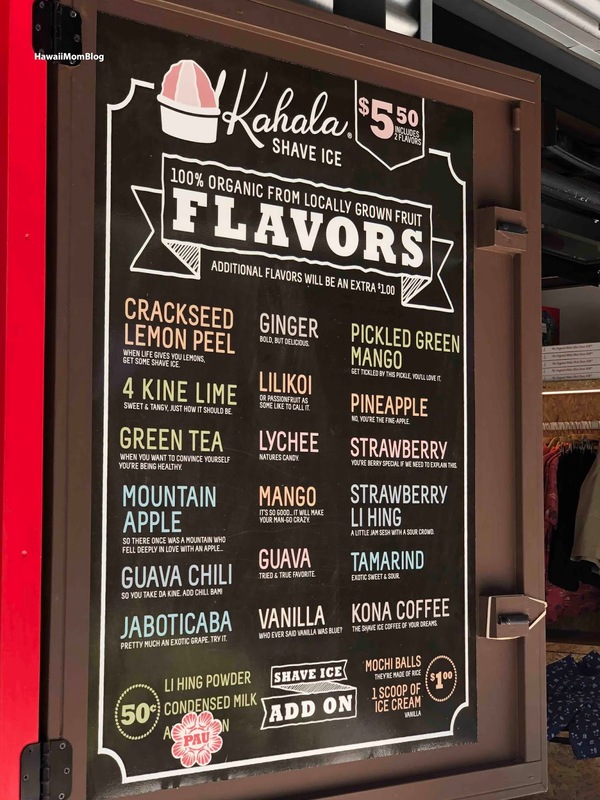 I love that Kahala Shave Ice uses locally-grown fruit for their flavors.